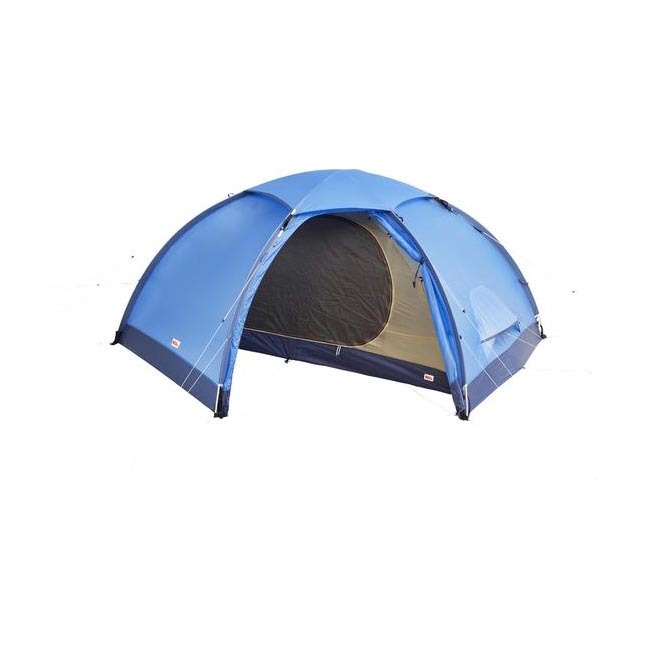 Spacious and stable dome tent with two generous vestibules. 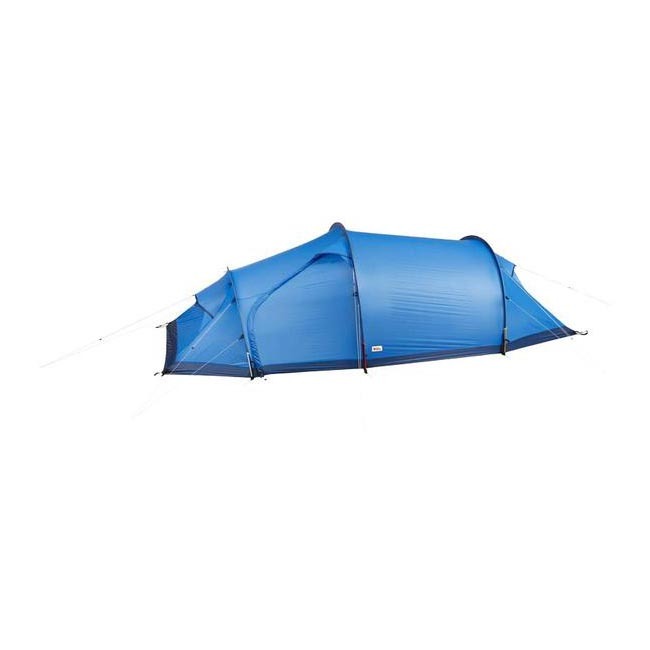 A lightweight and comfortable trekking tent for four-season use, in all conditions except the most exposed. Two entrances simplify tent life, you can organise one side each inside the tent and use the lee-side entrance in windy weather. There is also plenty of space for equipment, cooking and activities when the weather is bad. The inner tent and flysheet are raised together. The three-pole construction makes the tent self supporting and easy to pitch anywhere – use the guylines to anchor it in place and make it totally stable in the wind. 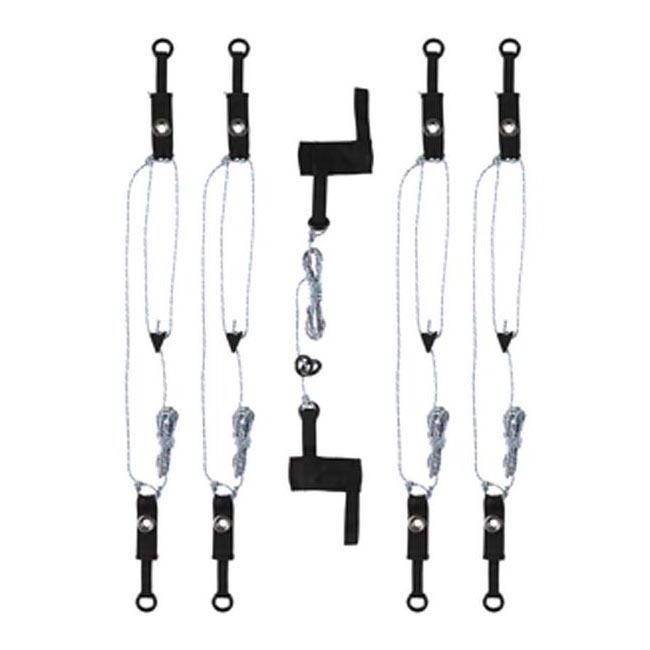 The pole sleeves are colour coded for simplicity and dimensioned so you can use double poles (an accessory) in exposed conditions. 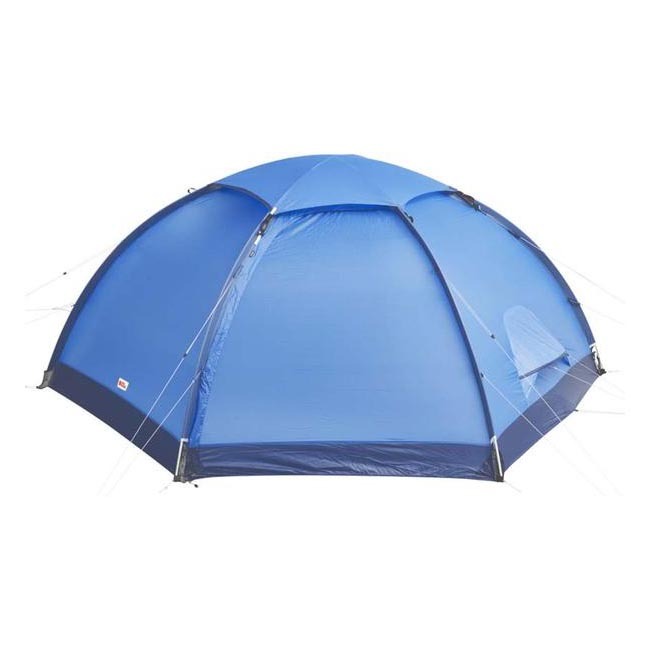 The tent has a comfortable sitting height and a good area for socialising. 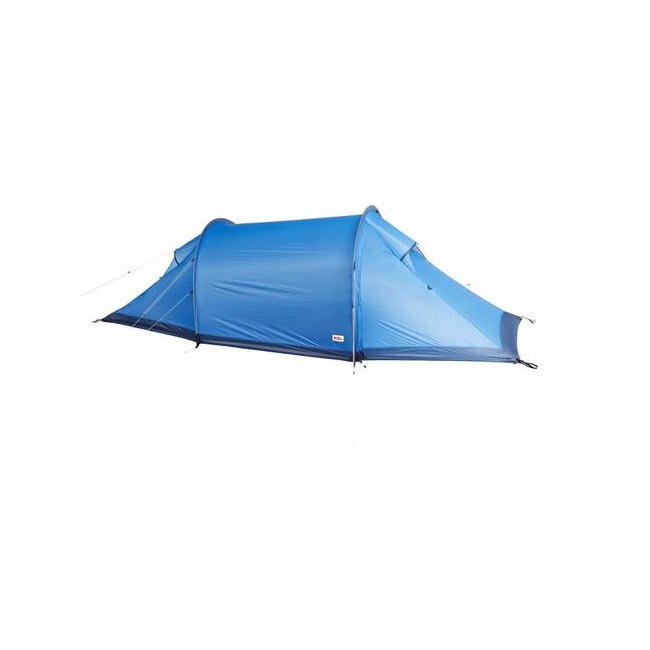 There is a detachable mesh shelf in the inner tent and several mesh pockets for storing gear. Large entrances with extra-fine mosquito netting allow you to admire the view from your sleeping bag without the intrusion of insects. Closable ventilation openings at different heights give the best possible airflow. 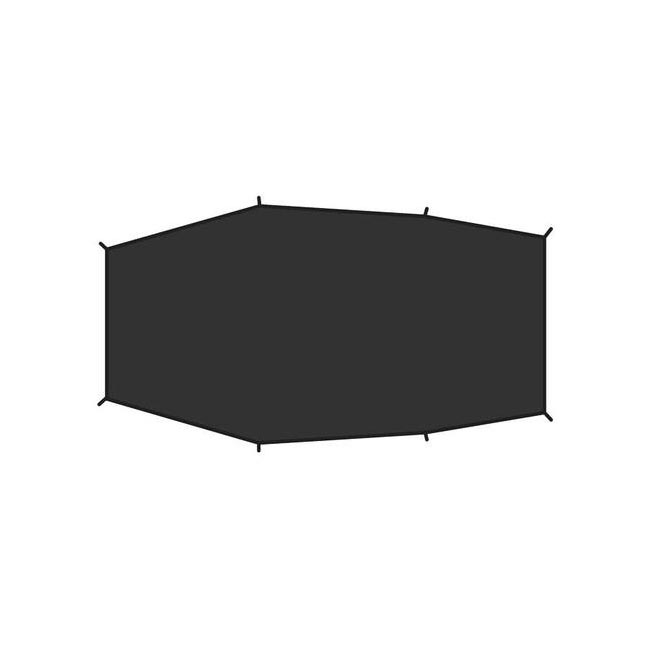 This, together with the possibility of fastening the outer door in a half-open position, makes the tent an excellent choice in tropical climates. 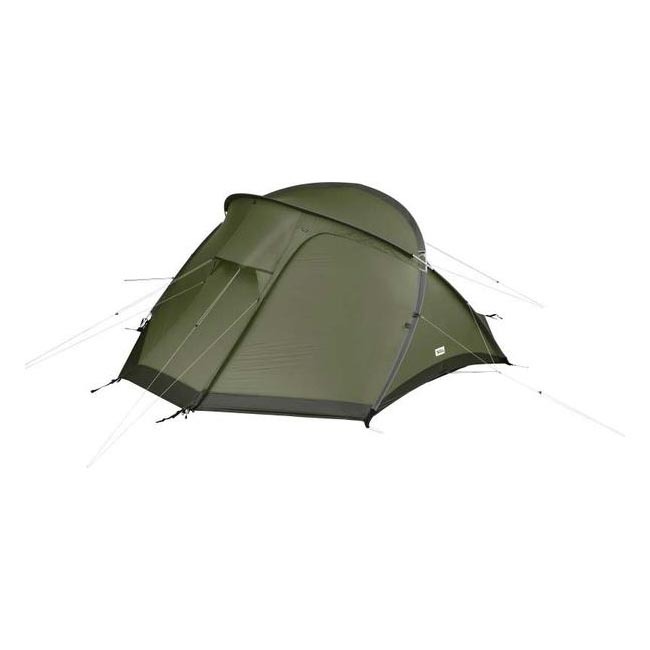 The flysheet is made from Fjällräven's new high-performance TripleRip nylon and an innovative construction that combines two different fabric weights – 20 denier in the top part and 40 denier at the bottom where abrasion is most intensive – giving excellent strength despite low weight. Just like all of Fjällräven's tents, Abisko Dome 2 is made entirely without PVC plastic and toxic flame retardants, and its impregnation is fluorocarbon free.